pick one!. jtnd. Wallpaper and background images in the The Heroes of Olympus club tagged: ytj. 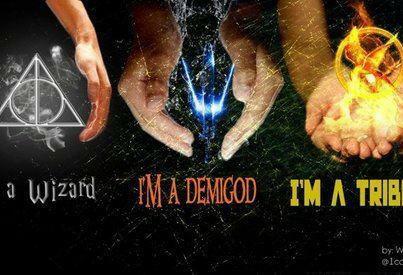 I'am a wizard demigod person! No wait actually you know what I am? I AM A WIZARD DEMIGOD TRIBUTE! WHO CAST SPELLS, WHILE CONTROLLING WATER , AND KILLING EVERYBODY IN MY PATH! I call dark wizard who's also half tribute and half demigod! Who'll kill snow! I'm a DEMIGOD. That's right people I am half freaking goddess! Woo Hoo! Sorry, I just had a Leo Valdez moment right there. the tree of them!!! welll... no couse i don´t wanna dei as a tribut.... and between a wizard and a demigod... no contest a DEMIGOD!!! why would you guys wanna be a tribute the disticts lives are horrible! DEMIGOD BY ALL MEANS!!! Demigod tribute, that is. I don't want a very special stick to poke people with. OH MY GODS THIS IS HARD!